The Wild Wooders have the blues! The woods go red, and Toad is lost! and come in to sing. 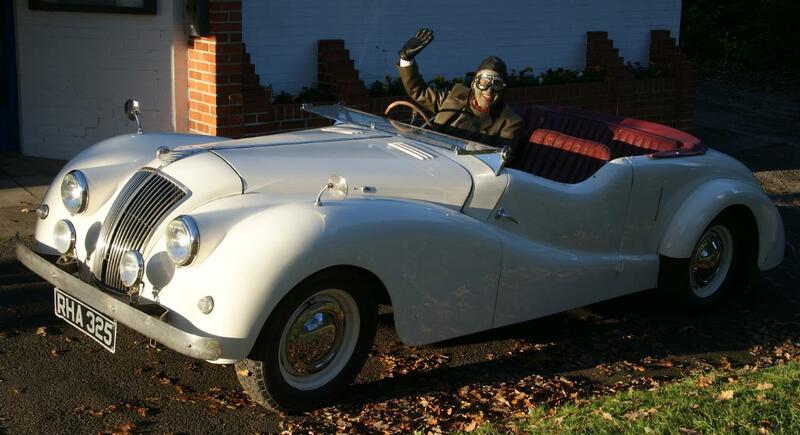 'A few weeks later', an incarcerated Toad comes a cropper driving indoors. But Toad tricks Ratty into leaving him alone in the hiouse  and escapes into the second half of the play! 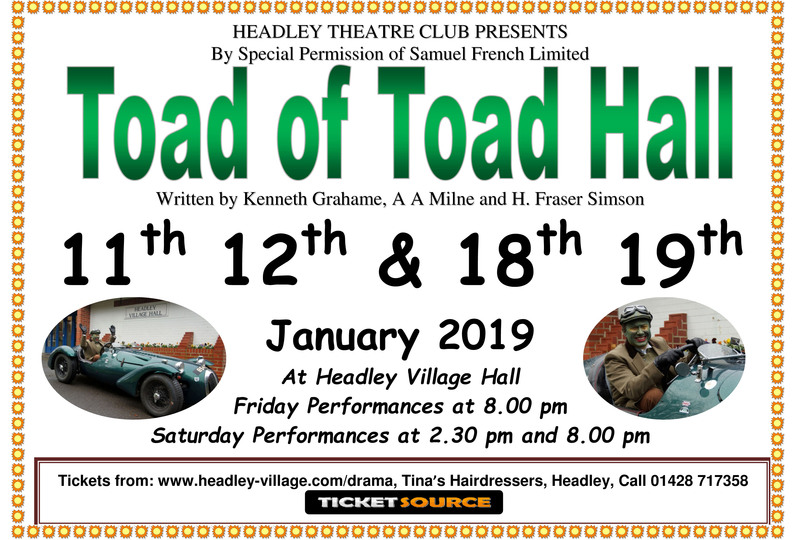 The second half opens in ther court room where Toad is being tried for dangerous driving  and the Usher (Jo Smith) is trying to get some hush! Toad is calmly drinking tea! 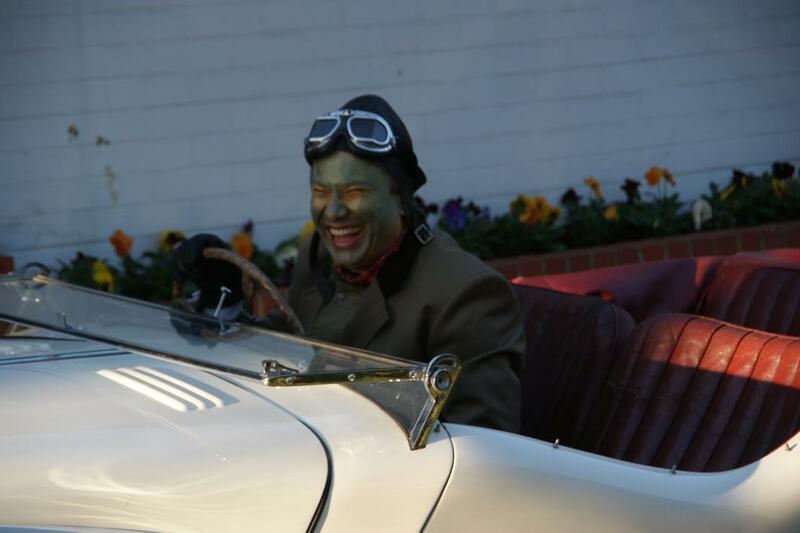 The policeman (John McGregor) and Judge are searching for Toad, who disguises himself effectively as a bird in a tree! It got more lively in front of an audience! A fearsome fight with our fearless heros ensued, with all the force that pipe lagging and blow-up cudgels could muster! Toad with a penitent prisoner  "Do you sing at all?" Whatever the answer was, it seems to have hit Toad where it hurt!! Ratty thinking he's Al Capone! "For he's a jolly good fellow" after all.